Online or onsite at your location. Learn how to author compliant Safety Data Sheet(s). Expand your career and expertise by becoming an SDS Author. 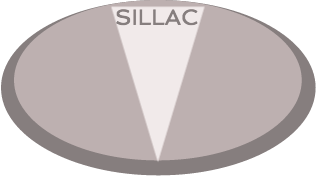 *By submitting this form, I give consent for SILLAC to contact me via phone, text, and email. Msg & data rates may apply. Every Hazardous Chemical in Every Workplace Matters. Learn how to Author Safety Data Sheets for your business products. Custom GHS Safety Data Sheet Authoring Training is now available for Mexico, Brazil, Central America, South America and The Caribbean, in 70 languages, and in any global format. We can train online or onsite at your location to learn how to author your own compliant Safety Data Sheets. Our training program can be tailored to fit your busy schedule with multiple 2 hr sessions. Base training is a minimum of 8 hrs. for 1 or 2 attendees. More attendees? No problem, we can handle one on one, large or small groups. This custom solution includes your products specifically and can take you from template design to completion of your compliant SDS. Our online training performed through WebEx will also give you access to the full recording(s) so you can watch over and over again complete with the power point presentation. Onsite training available! We can come to you, onsite at your location to provide a 1 or 2-day training, ask for details.